In 2001, local churches in Baraka began to see an increase in the number of orphaned and vulnerable children. David Mabena, a local pastor challenged his congregation to begin caring for the children by using whatever they had. Some brought clothes, others food. In this vast rural area, disease, unemployment and a lack of clean water add to the community’s problems, but the local churches joined together and soon they were supporting 15 children. David leads by example, carefully mentoring children and building strong relationships with families. He has inspired 19 other volunteers to regularly walk in the community to support children who are described as the ‘poorest of the poor’. Covering such a large area, volunteers walk up to 10 kilometres to visit some of these homes. David wanted to do even more for Baraka and so sought further help and advice. In 2009, Baraka Community Based Organisation became connected with Hands at Work and began a long-term partnership. In order to address the most essential needs of an orphaned or vulnerable child in the community of Baraka, Hands at Work provides life-giving services in the form of one hot, nutritious meal every day, access to education and basic health care. In 2011, Baraka Care Workers started by assisting 50 children, which increased to 100 in 2013. For the second consecutive year, Baraka has suffered from very low rainfall and clean and safe drinking water is in short supply. This has affected people from all levels of the community. Not having enough food factors into every element of life in Baraka community: increased illness, a lack of access to clean drinking water, as well as families not having the income they need to purchase basic necessities. However, the Care Workers in Baraka continue to provide daily, life-giving services to the children in their care. The hearts of the Care Workers in the Baraka CBO are heavy. Relationship Groups are currently not consistently happening at the Care Point as Care Workers are torn between spending time with one another and spending time searching for odd jobs around the community to provide for their own families. The local office in Kabwe feels this burden, and is encouraging them through these challenges to stay united in supporting one another and in their calling to serve the most vulnerable children. Having to travel to Kabwe to receive medical attention is unattainable for most families in Baraka: although hospital and clinic fees are somewhat affordable, the travel costs are often not. In July of 2016, a Nurses for Africa team spent time in Baraka, holding two clinic days and seeing 700 patients from the community. Care Workers, children, and community members were very encouraged by this, and could clearly see God’s hand of provision and care in ways they had not expected. Trina* is 13 years old and lives with her grandmother and her 20-year-old aunt, who struggle to provide for her basic needs such as food and school fees, as well as medical treatment for the diseases Trina can contract from unclean water. Since being identified by her Care Worker Judith, Trina is doing well in grade 5 at school as she can now concentrate better due to the meal she receives at the Life Centre every day. The Hands at Work office in Kabwe currently supports six Community Based Organisations, which exist to care for the most vulnerable in their communities. The office provides training, networking, and encouragement to those Community Based Organisations like Baraka. It also gives administrative support, including helping with funding proposals, monitoring and evaluation, bookkeeping and reporting to donors. Eight-year-old Tamara* and her two sisters were taken in by their grandmother four years ago. In 2016, local Care Workers identified them as amongst the most vulnerable in their community and began visiting them in their home. 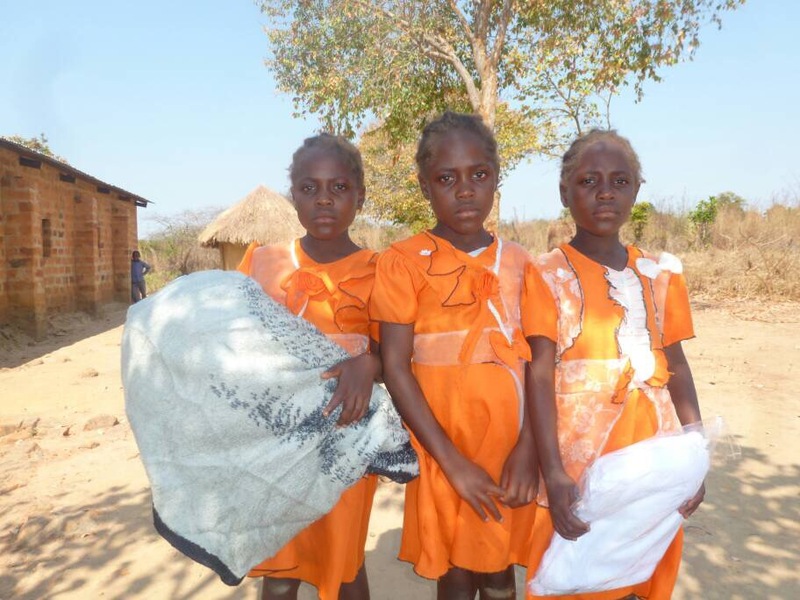 The girls were malnourished and their grandmother was struggling to care for their needs. The girls began to attend the Care Point, but struggled to interact with the other children. Judith, their Care Worker continues to encourage them on a daily basis and has seen improvement in their physical and emotional health over the past year. On a regular basis women from the community have to collect firewood in order to cook food for their families. Primary Caregivers are often aunts, uncles, older siblings or grandparents caring for the most vulnerable children in the absence of parents. In order to cook for the children and have water for cleaning, the Care Workers have to collect water from the nearby well.